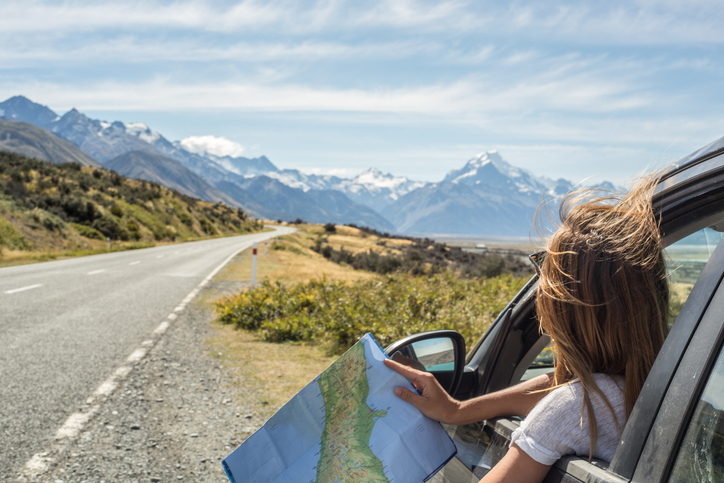 With nice weather around the corner all over the country, Phoenix Auto Action offers some road trip safety and saving tips. Read more here! Are you planning your next road trip? Whether you’re heading out with your friends for Spring Break or packing up the family to head across country, don’t leave home without Phoenix Auto Action’s tips for safety, packing, and saving money. Car Safety: What You Need to Know! Before heading out the open road, we recommend getting your vehicle an auto maintenance check-up. Swing by Auto Action’s service center or your local garage to have a professional check all the fluid levels, the quality of your wiper blades, belt and hose connections, tire pressure, turn signals, and headlights. Also, prepare by keeping a toolkit and safety kit in your trunk. The following should always be within reach when you open your trunk: a tire iron, bottled water, first-aid kit, reflectors, and flares. Make sure your spare tire is in working order too. You don’t want to be stuck miles from home with a flat tire, and not have the proper tools or a functioning spare to use. These days, almost everyone has a mobile phone. On a road trip, having charged phone handy is essential in case of an emergency situation. Before you leave for a trip, ask your service provider about roaming fees and country-wide coverage. Even if you have a roomy vehicle like a Buick Rendezvous or a Chrysler Town and Country, it doesn’t mean you need to pack it to full capacity. When you are traveling, lighten your load by packing only what you need. When it comes to clothes, less is more. Pack clothes that are comfortable for traveling and appropriate for the weather. One perk of having your own car while you’re on a trip is that you can stop at the nearest laundromat for a quick clothes wash. Stick to one luggage bag person, and opt for soft duffel bags and backpacks, which can be more easily squeezed into limited trunk space. Keep all your essential needs in a sturdy canvas bag within easy reach of the front seat. Stock this bag with road maps, games (for the kids! ), sunglasses, hand -wipes, and a first-aid kit. When surprises come along the way, you will be prepared. Calculating fuel costs in advance are one of the easiest road-trip expenditures to budget. If you know how many miles your car generally gets per gallon, it’s simple to measure the estimated fuel costs for your trip. Determine the length of your trip by using Google Maps to figure out how many miles you’re likely to drive from Point A to Point B. Then simply divide the total miles of your trip by the miles per gallon that your car uses. Then multiply that total by the average price of gas per gallon. The final number is your forecasted fuel expenditure. You can also save money on your trip by packing water and snacks in a cooler instead of purchasing overpriced items at convenience stores. Some of our favorite healthy road trip snacks are cut up vegetables stored in an airtight container, hard cheese blocks (because they keep longer and don’t really melt), bags of pretzels, and, of course, fresh fruits like apples and bananas. At Auto Action, we make it a priority that you get our best deals, incentives, and rebates. We want to see you drive away in a car that you love, so you will be a lifetime customer! We’re a trusted used car dealership with locations in Arizona, Southern California, and New Mexico. Call us at 602-345-8000, or stop in for a test drive. Together we can find you a reliable car for wherever the road may take you!